The decree of October 12th, 1945 sets the strict standards of the Controlled Appellation of Pineau des Charentes. 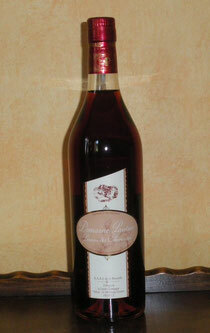 Stemming from a blend between grape must and cognac eau de vie (at least 60° proof) from the same estate, Pineau des Charentes must obtain a degree between 16° to 22°. Production does not exceed 57 hectolitres per acre. 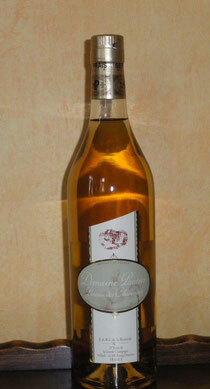 We have 4 references of Pineau des Charentes : "white", "red", "old white" and "old red". Consumption : For an aperitif, with a soft goat's cheese, and with shellfish and white meat. Consumption : For an aperitif, with melons, berries or just with a dessert. 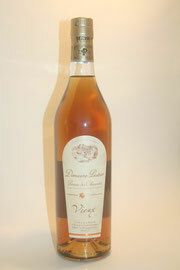 Name : “Vieux” (old) after 5 years or more of ageing in oak barrels. Average age : 10 years. Characteristics : A sweet and full bodies fortified wine with hints of dry apricot, cashew nuts, gingerbread. Consumption : For an aperitif, with foie gras, cheese (blue, goat's cheese, old Comté, old Beaufort, etc.). Consumption : Served chilled as an aperitif, with foie gras and fig compote, and any sort of chocolate.